Home What's on Dance Theatre of Ireland Exodus/Grand Junction. Dance Theatre of Ireland Exodus/Grand Junction. 8-11 Nov 2006. 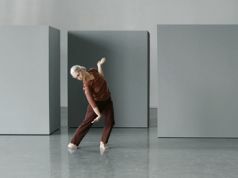 An international cast of six dancers perform the premiere of two new dance works Exodus and Grand Junction at the Pavilion Theatre in Dun Loaghaire, the first dates in Dance Theatres Ireland-wide tour. Exodus, created by choreographers Robert Connor & Loretta Yurick, explores the theme of immigration with digital scenery designed by Suzanne Mooney and original music by Rory Pierce. Acclaimed UK choreographer Charles Linehan has set his new dance work Grand Junction to Julian Swaless compositions of cyclical acoustic guitar samples, creating a detailed, physical analysis of the relationship between two performers. Admission 16-12. Performances at 20.00.